Northport, Michigan — curved wood moldings Thomas & Milliken Millwork, Inc.
Thomas and Milliken is a custom millwork shop with over 38 years of woodworking experience. 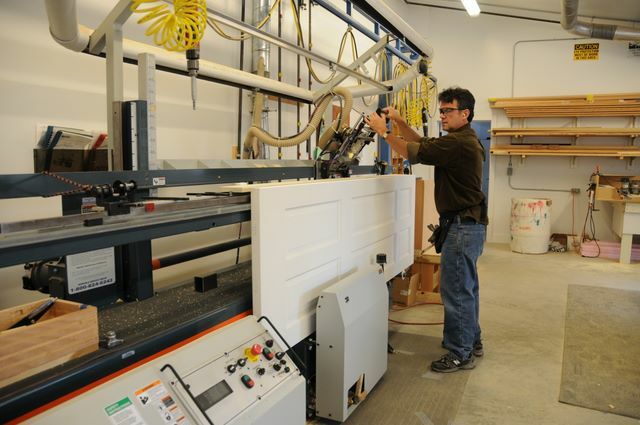 Throughout our history we have continually updated our machinery and product to provide our customers with the highest quality straight millwork and curved trim. We take great pride in our ability to give you the best product on todays market. Besides curved casing for doors and windows, we can produce any curved base, crown, or door jamb. We can match any existing pattern or custom grind a new knife. Our staff works closely with each customer to ensure satisfaction.